The summer bounty has begun. The fruit and vegetables in season in December are spectacular. 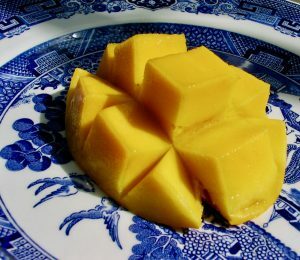 Arguably the best way to eat mango is at room temperature, just as it is. But try one of my favourite mango recipes if you’re fortunate enough to have a glut. Mango, lime and mint ice blocks. Mango and mint fruit salad.